Pansies are popular spring flowers--they come in many colors, and they're easy to grow. Did you know the name "pansy" came from the French word for thought or remembrance? We love the idea of pansies as a well-loved remembrance! Pansies take center stage in the new Pansy Noir collection from Kanvas, perfect for making your own memory for yourself or as a gift. These prints feature a variety of purple shades, as well as beautifully contrasting greens complimented by black and metallic gold. Petals in so many forms! Butterflies and fun geometrics, including a neat wavy stripe, round out the collection. 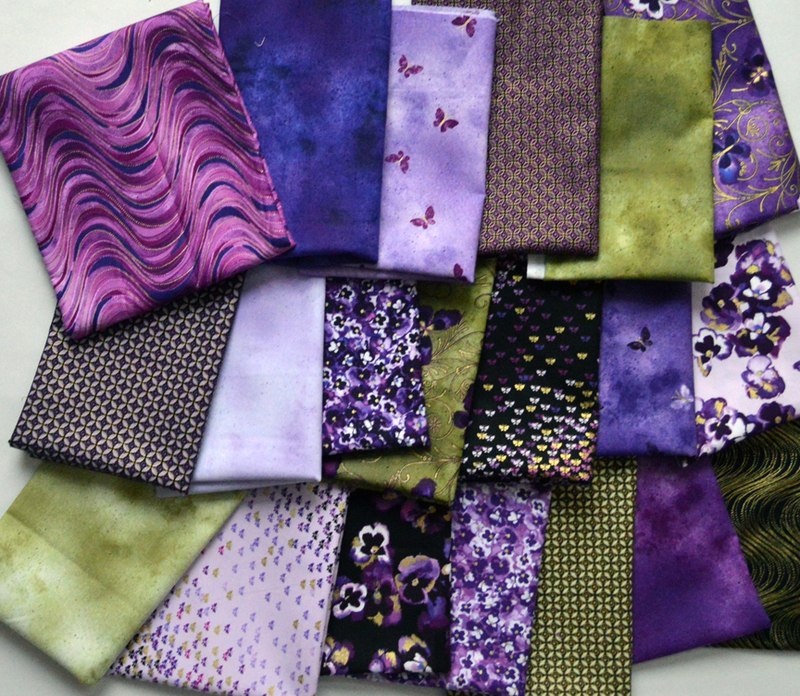 Pansy Noir was the featured fabric collection in our winter issue of the Fat Quarterly newsletter. 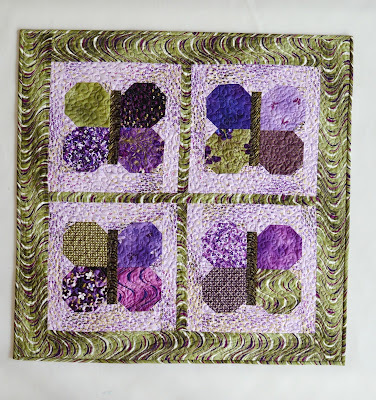 The newsletter included 5" squares of the entire fabric line, and featured the pattern for this wall quilt, "Pansies & Butterflies." 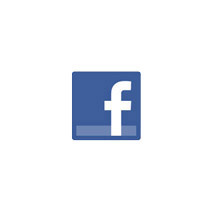 Click here to find out how to subscribe to the Fat Quarterly. 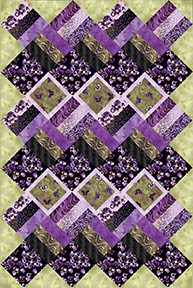 Try our "Fields of Violet" free quilt pattern--a fun variation on the traditional Rail Fence design. 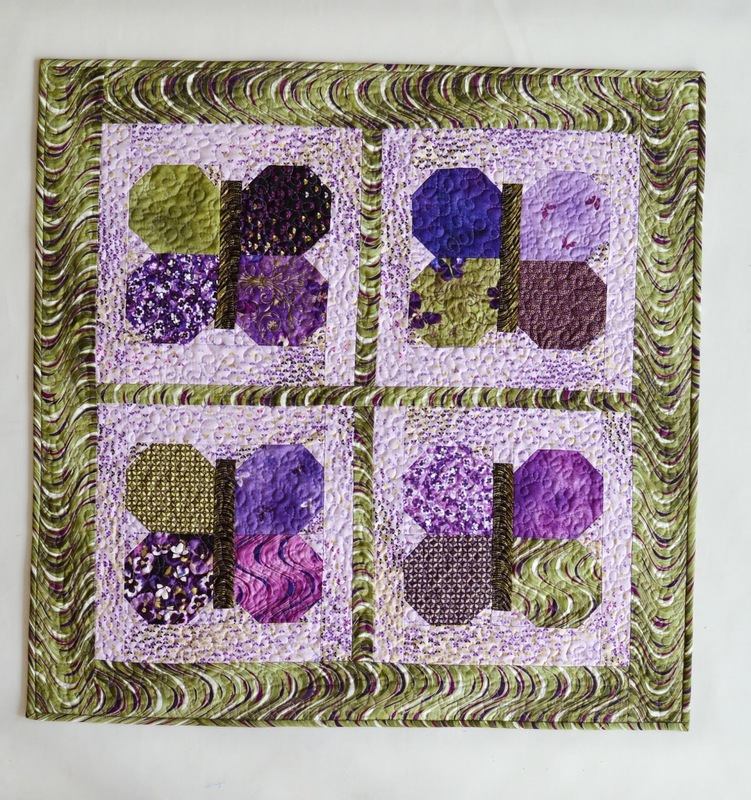 This pattern is available as a free download on our website. Oh, what a delicious array of colors! So beautiful projects and fabric combo!